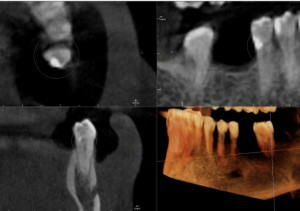 CASE STUDY: Resorption or Decay? Resorption is an uncommon and troublesome dental condition in which the body’s own cells eat away and dissolve tooth structure. It can at times be confused as decay on a dental x-ray. It also can be very aggressive and quick to destroy healthy tooth structure. See the 2 dimensional x-ray here. Here you see two teeth (premolars) both with resorption not decay. The distal of #20 has been restored with composite due to easy access from the missing tooth. However, the outcome is not as favorable on tooth #21. See the cross section view of tooth #20 and #21 in a 3Dcone beam scan. 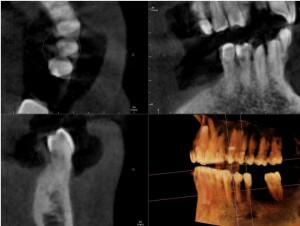 Now you begin to visualize that more of the tooth has been effected and makes the prognosis poor. 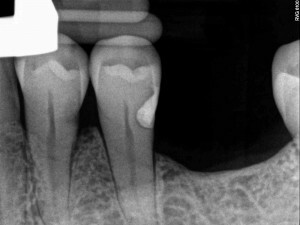 The first question was resorption or decay? The second question is how would you treatment plan this area now? Once again, a great reason to begin to utilize the high-tech imaging method of 3D cone beam computed tomography. It can help make treatment planning in advance more accurate. What motivates an adult student? The motivators seem to evolve as you become older. 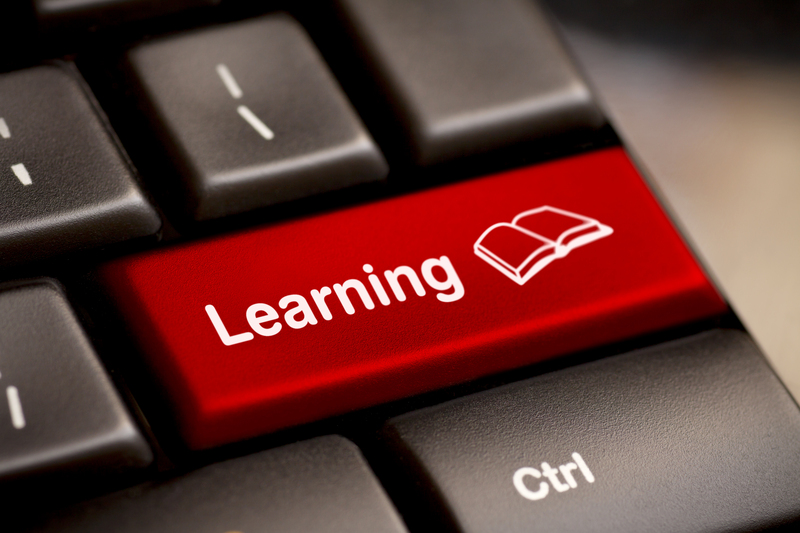 Our online learning platform, I am thrilled to say, actually answers each of these 5 principles of adult learning. Each course begins with an introduction where the main focus is to explain the why behind the importance of the subject matter. A variety of supportive tools are provided as action steps to learn. Therefore, if you prefer to read the information it is available or if you prefer to watch a video, a virtual instructor is there to guide you through the topic. The platform encourages you to pull from your previous experiences and knowledge base. The beauty of online learning is that the time is ALWAYS right for you. And finally the platform was designed to help with the accountability of learning and therefore, a fun way to earn digital badges occurs as you work through your assignments. Relevance Health is proud to be offering such a great platform at such a reasonable cost. Now you have no excuses to get started and begin to learn how to optimize lives through prevention. Tha nk you all for participating in this wrap up initiative for Heart Health Awareness in February and growing our IOA network. At this time IOA’s largest reach socially has been about 2,000. Together we could make a push for 10,000. We will send out an email update to you mid-day on Friday to let you know what the reach number has been so you will know how many more views we need to reach our goal. Please follow the instructions below to help you share the post. IOA Facebook will post the video at 7:30 AM CST. We suggest you share the post at 8 AM, 1 PM and 8 PM more passionately each time. For example: “Help us reach our goal…” or “we believe we can stop heart disease from being the # 1 killer by 2020… “. At the top of your facebook is a “Search for people, places and things” type in that search pane, “Institute of Arteriology”. This will take you to the IOA Facebook page, if you have not already LIKED the page click on the LIKE button on the right side of the banner image. It will change to LIKED. If you have time you want to invite your friends/network to like the IOA page. Look under the profile picture image on the left. Go to “Invite friends to like this page” click on that and start inviting your friends, as many as you want or all of them to like the page, this will grow the IOA network to maximize the likes on the page and ensure people see the page posts, as well as the video. Make sure when you are sharing post to always encourage people to go to the page and like and share the post. The 2nd line option “Share…” allows you to type something to your Facebook audience that is specific or personal from you, but also shows the original post. ASKING PEOPLE TO LIKE & SHARE IS THE KEY TO GOING VIRAL, along with the hashtags, so make sure you hashtag your personal post with the hashtags below and any other hashtags you have or have used in your network. You can create your own hashtag and use existing hashtags. The way you do this is by clicking on the # pound sign and then typing, abbreviating, etc anything you want that you want to trend and this puts all the posts, info, etc under one hashtag as a link to view all things related to that hashtag, so for example… if you go to the American Heart Association FB page and click on one of their hashtags you can see all FB posts by anything in the world that has used that hashtag. Please fill in a list of all of the participants for this product. After saving click checkout to complete your registration.